While there may not be a consensus on the cause of our changing weather patterns, the fact remains that during the 21st century, floods were the number-one natural disaster in the United States in terms of number of lives lost and property damage. In fact, over 90% of all US natural disasters include flooding and the simple truth is that flood damage can happen to anyone. Flood damage to your home or business can be caused by a number of factors including rapid precipitation accumulation, broken water pipes or damage from a mudflow. So who needs Flood Insurance on Long Island? If you own a home or business in a designated flood zone and have a mortgage chances are that you are required by your lender to carry flood insurance. However, your home or business does not need to be located in a high-risk flood zone to suffer damage from flooding. 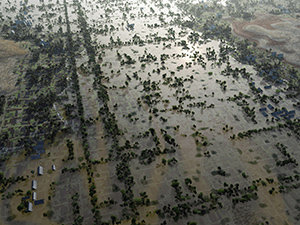 According to Federal Flood Hazard Research, a partner of the National Flood Insurance Program, approximately 25 percent of all flood claims come from homes that are not in flood zone areas. Since traditional homeowner’s insurance does not cover flood damage, flood insurance is an extra insurance policy designed to provide protection for your home and your belongings. Anyone can buy flood insurance as long as the property is located in a community that participates in the National Flood Insurance Program and premiums are set by the U.S. government so your rate is the same from any insurer. Homes, condos, apartments, and business structures are all eligible. 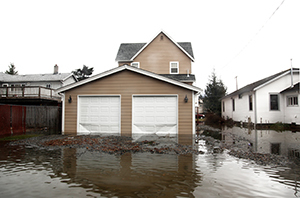 Even if you’ve had previous flooding, you can still buy flood insurance. In addition, renters may purchase flood insurance for their possessions. So why choose Denis A. Miller Insurance Agency for the flood insurance that you need? As the largest provider of flood insurance in New York State, Denis A. Miller and his team of professionals bring a wealth of knowledge and experience to the table and they are renowned for their abilities to solve tough flood insurance problems. You will also find that our insurance professionals will take the time to talk with you not only about your flood insurance requirements but also the other lines of personal and business insurance you need. Don’t wait for the next ‘event.’ Contact us at 516-432-9245 or fill out the quote request form on this page.